Walking Tours: An Insider Experience. Looking for things to do in San José, Costa Rica? 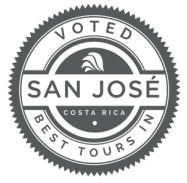 Enjoy the best sites, food, art and local insider tips on our walking tours through San José! ​to economic statistics - all info we love to share on our walking city tours! Our small groups allow us to cater conversations and walking tours to your interests creating the immersion experience you desire. San José is an excellent city for walking tours. Relax without being stuck on a tour bus as we follow flat, pedestrian-only paths winding through city parks and stepping into hidden-away corners. ​Walking Tours: I want to walk and tour San José (city, food, art and more). Day Trips: I want a private driver for day trips. Be a Referring Agent: I want to be a referring agent or hotel. Winner 7 Years in a Row!